It’s safe to say that having two generational players on a single team is far better than just one. The New York Giants enjoyed that reality for one season, having both Odell Beckham Jr. and Saquon Barkley on the field. However, they couldn’t help the Giants avoid another disappointing season falling to 3-13. The reality is, not even two generational players could mask the deficiencies on the offensive line and defense. General manager Dave Gettleman made it clear recently that a team can win during a rebuild, and that’s what he tends to do with Big Blue. Unfortunately, his plan didn’t start out too hot last year, and proceeding to trade away a fan favorite to acquire a mid-first-round pick and Jabrill Peppers didn’t make much sense. 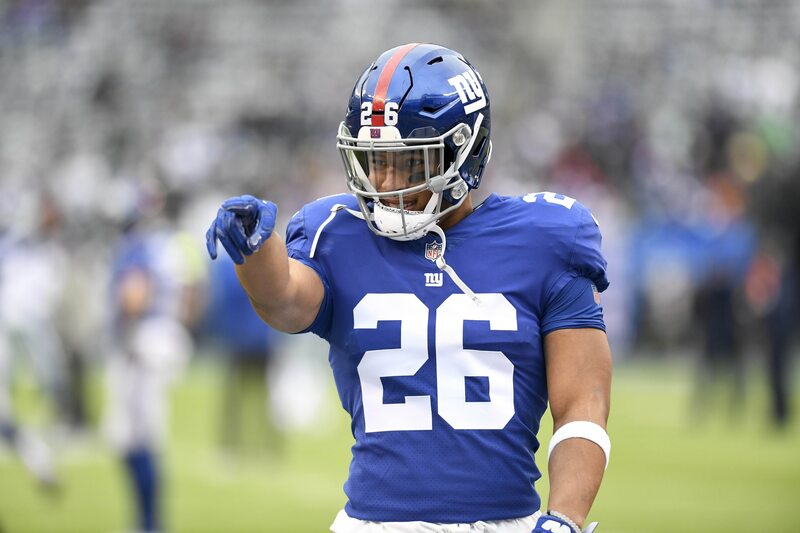 What does Odell Beckham Jr.’s departure mean for Saquon Barkley? Although the Giants’ star running back is only going into his second year in the NFL, he’s already emerged as a leader on the team. Pure talent doesn’t go unnoticed, which is why Beckham was such a force in the locker room. His past antics certainly played a part in the demise of the team, but Barkley is a different breed. The 22-year-old has established himself as a voice of reason, consoling players on the sidelines during tough games and motivating them to succeed in moments of significance. He will fill the shoes of ‘leader’ quite well, but the production on offense is a major concern. Losing Beckham essentially forces the Giants to operate without their most lethal red-zone target and open field playmaker. Now, they must rely on Golden Tate, Sterling Shepard, and Evan Engram to make a majority of plays in the passing game. A major downgrade from Beckham to Tate highlights this fixture. But, Barkley now has the authority on offense, as he will be the focal point in the run and pass game. You’d better believe Gettleman will run his workhorse back into the ground until the last bit of value and life has been extracted from his massive quads. That’s the style of football he likes to play – smashmouth, run game-centric, hog mollie ridden ball. The only way trading Beckham makes sense is if the Giants manage to turn the No. 17 overall pick in the draft into an influential player, otherwise, they will have consumed $16 million in dead cap to give up their best player for a box of stale Lays potato chips and a week old Mcflurry. The moment Beckham was traded from the team that drafted him in 2014, he called Barkley, hoping that it was all a dream. Moving forward, we have no choice but to have faith in Gettleman and his plan. There’s no escaping what’s to come, so the best we can do is stay positive and thank the football gods every night that we have Saquon Barkley.